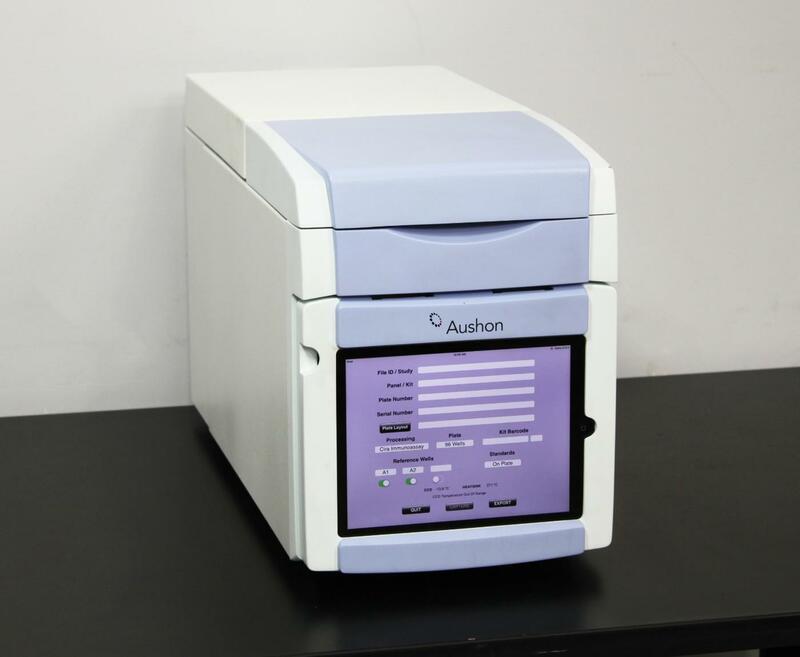 Aushon Cirascan ASP-2010 Immunoassay Chemiluminescent Array Imaging Analysis . New Life Scientific, Inc.
Mfg. June 2013. Tested & Functional. 90-Day Warranty. operating this instrument a satisfying experience. It’s only 11 inches in width, making it easy to fit on a benchtop with limited space. With the lid closed it’s 14.5 inches tall and with the lid completely open it’s 25 inches. condition with very minor wear, a couple small scuffs on the exterior of the lid. lack of reagents during testing. The iPad user interface and Cirascan software are tested and function very well.